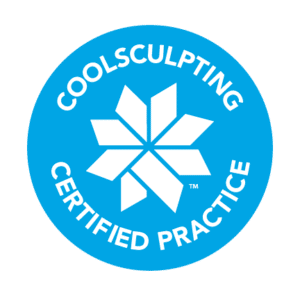 What is dermaplaning? Dermaplaning is a manual, non-invasive, skin resurfacing procedure that uses a special surgical scalpel blade to remove the top layers of dead skin cells. Dermaplaning can be performed on parts of the face, the entire face, or anywhere on the body. It improves the appearance of acne-scarred skin and smooths out facial wrinkles on the upper layers of the face. It is also an excellent treatment for melasma and environmentally damaged skin. Dermaplaning is an alternative to waxing and depilatories for removing unwanted facial hair, including vellus (light) hair or “peach fuzz” which is difficult to treat with light therapy or lasers. Facial hair does not grow back darker and thicker, but returns slowly and becomes sparser with each treatment. Your dermaplaning treatment will last 30-45 minutes. During your treatment, your provider will hold your skin taught with one hand while gently scraping the scalpel blade against the skin to remove unwanted hair and dry skin. You will feel little to no discomfort. Immediately after your treatment, your skin will feel soft and smooth, and look radiant. Because dermaplaning exposes the top layers of the epidermis, it creates a more efficient response from other laser or resurfacing procedures. Topical skin treatments can also be more effectively absorbed and can penetrate deeper following a dermaplaning treatment. Dermaplaning is appropriate for every skin type, especially those with hypersensitive skin that cannot tolerate other traditional methods of exfoliation. This gentle treatment improves dull, ruddy complexions by gently removing the top layer of dry and sun-damaged skin cells. This also removes the “peach fuzz” resulting in baby smooth skin. We complete this gentle exfoliation treatment with a full European facial, including deep cleansing with steam, light extractions, a custom treatment mask and a face, neck and shoulder massage. Colorado Skin and Vein is one of the leading providers of dermaplaning in Denver, Colorado. For more information or to make an appointment, request a consult online or call our office at 303.683.3235, and we will be happy to discuss your needs further.